Are you looking for a cost effective option to replace windows in your home that is easy to use, simple in design and will improve your view? 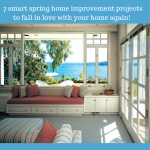 If so a sliding window may be the choice for you. In this article you’ll learn the definition, advantages and disadvantages, options and places to use sliding windows. Definition – A sliding window is a horizontal 2 or 3 sash window that opens from left to right. When the window is being opened it moves from side to side along a track. 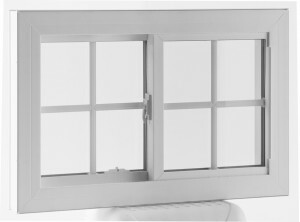 Provides vision, views and fresh air – Slider windows (sometimes called a glider window) can fit in the space of a single, double or triple sized window (horizontal in design) and provides excellent views to the outside with the advantage of air flow (note – in large openings in family/living rooms these windows are sometimes used on the sides of a picture window). Easy to operate – The sliding replacement windows move along tracks which make them easy to operate for someone who lacks strength or dexterity. 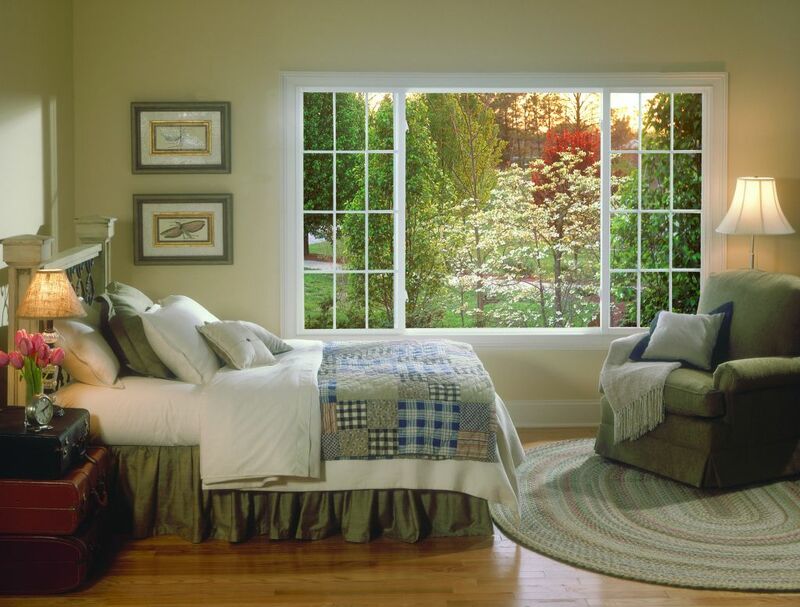 Simple design increases longevity – The slider window does not require any operable cranks (like casement or awning windows) or springs or pulleys that are sometimes used in double hung windows. The window simply slides inside tracks. Cost effective – Due to their simple designs – sliding windows are less costly to manufacture and are generally less expensive. Sliding windows don’t maximize amount of air flow – Since the window sash opens side to side only one of the sashes (of this two sash window) is open at a time (vs. a casement or awning window which uses one sash that can fully open). Cleaning the outside of the window can be difficult (in some cases) – Cleaning these windows is not as easy because the standard ones don’t tilt in for easy cleaning. Many manufacturers like Polaris windows make sashes that can be removed from the inside for cleaning and Alside windows makes a Swing & Clean version where the windows swing in for cleaning. A slider is not designed for vertical openings – The slider window is designed for horizontal openings so for your vertical openings you’ll most likely want to choose double hung or casement styles. Sliding windows are most often found in family/living rooms, basement & bedroom windows and occasionally above kitchen sinks. Do you have any questions or advice about using a sliding window? Please comment below.